Cornwall’s top badminton players took on rivals West Glamorgan, who made the long trip to St Austell at the weekend for the last match of the season. This was the Cornish team’s first time in Division 3 which had proved very challenging, so they were hoping for a good result to sign off the year in front of a large home crowd. Once again, the Cornish boys got off to a flying start in the singles, with both Shane Maton and James Whetter notching up fine wins, while Rose Willis and Emily James found it harder going against the Welsh girls. James paired up with his regular partner Guy Michell to take both mens doubles, with Tom Lyle, returning from his honeymoon to play alongside Ross Lashbrook and winning both of their games in scintillating style. For the girls it was a hard afternoon, but Rose and Bronwen Wotton, playing her best badminton of the season, beat the top Welsh pair, and were unlucky to just lose their other game. 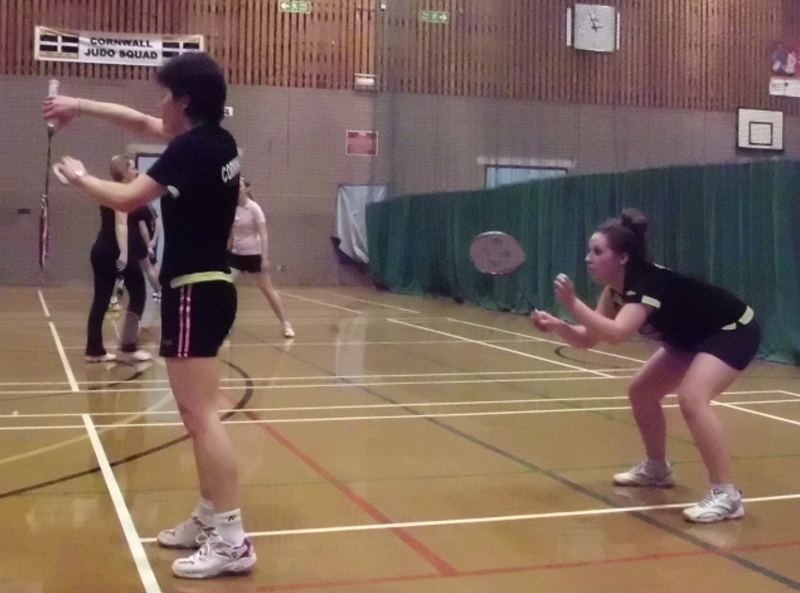 Emily and Vicki Thomas fought hard in their doubles, but lost out in both. The home team needed just one more game to take the match going into the mixed, and Ross and Bronwen proved unplayable and duly obliged. Although James and Rose lost to the top pair, Shane and Vicki took the third mixed, after 3 ends of great defence and long rallies, to give the final match score – Cornwall 9, West Glamorgan 6. Shane, Ross, Tom and Guy took the honours for winning 100% of their games, but player of the match went to Bronwen, for her excellent tactical play and stunning net shots. The team are to be congratulated for holding their own in this tough division, especially the boys, and will look forward to next season and more victories like this one.